Wherever football is played, Weather plays its part: In London alone, during the season an average of 125 days will experience some rainfall, making receiving and passing a ball tricky for even the best players. 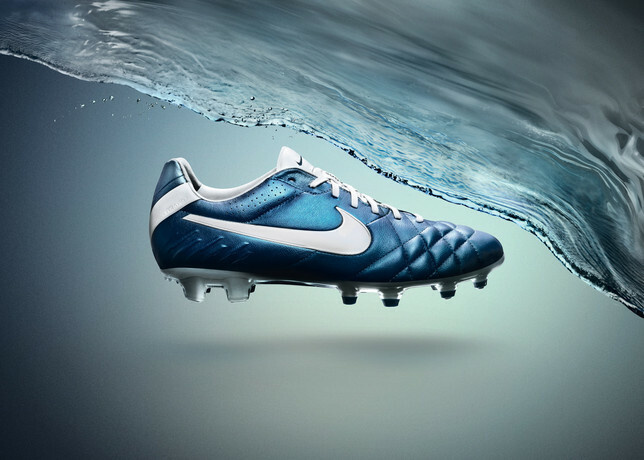 Bearing in mind the above-mentioned predicament, and having consultation with some of the leading football players in the world that included the like of FC Barcelona’s Andres Iniesta, Nike further improvised its boot technology with the introducing of Nike All Conditions Control (ACC). The new technology allows the boot’s surface to maintain the same level of friction, touch and control on the ball in wet and dry conditions that is created by a special treatment during the development of the upper materials to deliver a consistent feel on the ball at all times. 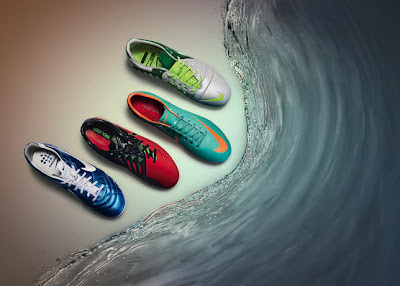 Nike boots combine the latest design innovation and performance, with boots for each style of play. ACC is now available across all Nike boots including Mercurial Vapor VIII, Tiempo Legend IV, CTR360 Maestri III and Total 90 Laser IV. Visit www.nikeinc.com for more information and images.